Merry Christmas to all of our blog readers! It's been a busy year and we hope you have enjoyed all the tips and projects we have found, the fun theme ideas and our printable stationery. This year we finally launched the new website. Very exciting, although it did drive us nuts at times, let me tell you! Moving all the products over from the old shop! But, we're nearly there and the new site should make shopping for printable stationery much easier. So as the year wraps up let's celebrate with a giveaway! 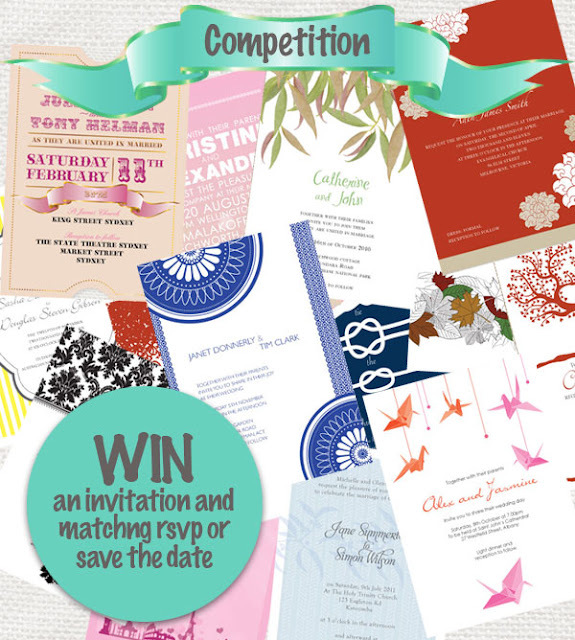 Prize: An 'i do' it yourself invitation of your choice and matching printable save the date card or rsvp! How to enter: In the comments section leave a note telling us what you would like to see on the blog next year. It can be more of what we do or a totally new idea. Or just let us know what bit you like the best or dislike the most. The best answer will be selected to win. Don't forget to leave an email address or a way to contact you if you win! The winner will be announced on the blog on December 31st, 2011. Good luck! This competition is now closed. Congratulations to Lauren! I love all the ideas your blog has on how to 'do it yourself ' to help make it a special day and - less expensive; plus the real wedding photo's. Perhaps you could occasionally have something for the more mature bride or even the mother of the bride; just a thought. Wishing you all the best for the coming year. I love the Do It yourself projects you have posted! I say keep posting those!